Home / Unlabelled / Keto Diet Versus HCG Diet: What are They and How Do They Differ? Keto Diet Versus HCG Diet: What are They and How Do They Differ? The HCG Diet is based on and follows the principles of the Keto or Ketogenic Diet. But still the two diets have subtle differences. 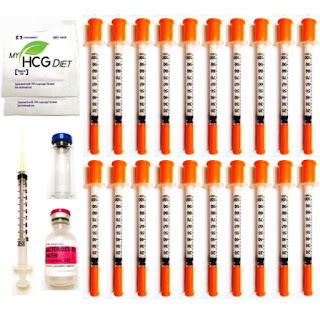 The key difference is that the HCG Diet involves taking injections or drops of the Human Chorionic Gonadotropin (HCG). To understand the differences better and have a better understanding of the two diets, we have discussed key points of both diets below. The Keto Diet is famous as the low carb diet or the low carb high fat (LCHF) diet. On the Keto Diet you would be taking very low carbs, about 20-50 per week. Which means rather than relying on carbs for energy, the keto diet promotes production of ketones in the liver that are used as a source of energy in the body. This process is called ketosis and it takes a week for the body to get in this mode. If you are on a keto diet you must regularly check ketone levels by monitoring it through your breath, blood or by urine samples. This can be done easily at home by using keto sticks that are easy to use and inexpensive. Once you have made yourself familiar with the Keto Diet you may want to take these supplements that go hand in hand with other foods on the Keto Diet. 2. Fish Oil or COD Liver Oil. On the HCG Diet, you will be following a very low calorie diet and will be taking prescription drops, injections, using creams or spray. HCG is the substance that makes the body tap into fat reserves for energy when there isn’t enough nutrition or intake of carbs, on which the body usually relies for energy. It takes the body about 2-5 days to get in the whole process once the HCG has been taken. On the HCG Diet you’ll feel energized and satiated except for at meal times. As HCG Diet involves taking prescription drugs, you can’t take just any supplement available in the market. 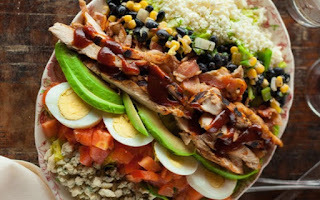 You can however, create a complete HCG Diet food list. You can use it as reference when you are grocery shopping. 1. Vegetables: Include lettuce, onions, tomatoes, fennel, cucumber, radishes, celery and asparagus in your diet. 2. Proteins: White fish, lobster, crab, shrimp, extra lean beef and chicken can be included in your diet but make sure that you don’t cook your meats on the bone and remove all fat and skin. 3. Fruit: You can have apples, blueberries, blackberries, strawberries and lemons. ⦁ The HCG plan requires HCG hormone injections or drops to be taken, the Keto Diet relies on diet and some supplements. ⦁ The Keto Diet is a low carb diet and has no set amount for calories intake. On the other hand the HCG Diet is a low calories diet. ⦁ The Keto Diet is a very high fat based diet. However, the HCG Diet is a very low fat diet. We hope this article helped you understand the two diets better. Kindly share this post by using the share buttons below.